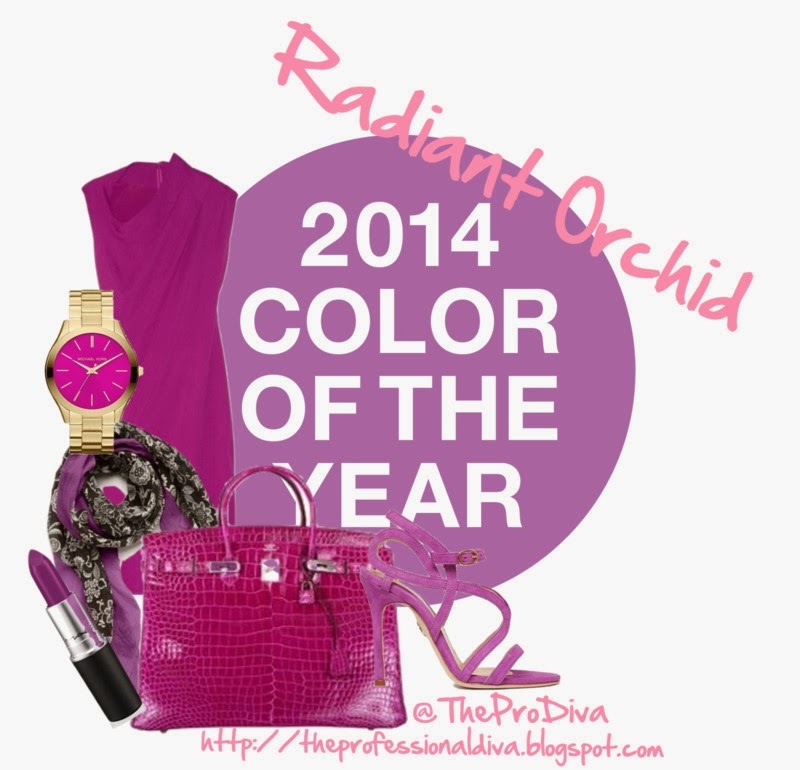 THE MARTINI CHRONICLES: Radiant Orchid...How To Incorporate The 2014 Color Of The Year Into Your Professional Wardrobe! 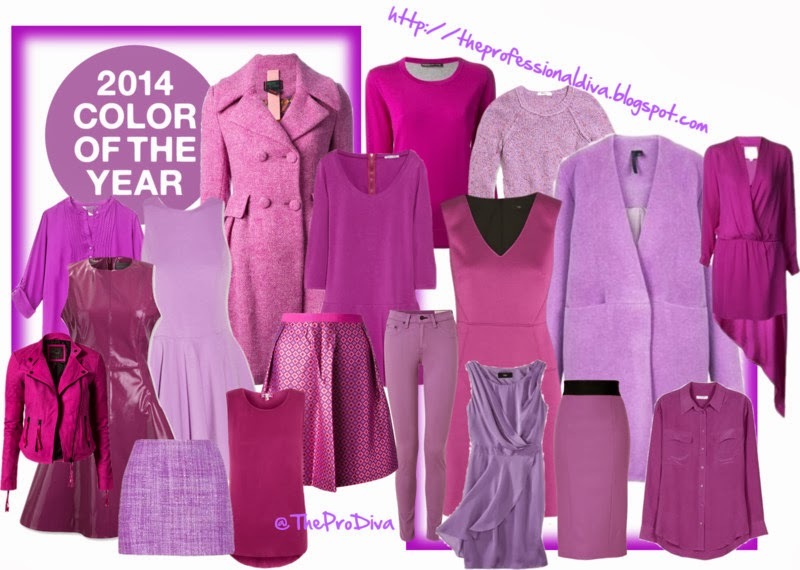 Radiant Orchid...How To Incorporate The 2014 Color Of The Year Into Your Professional Wardrobe! Greetings Divas! 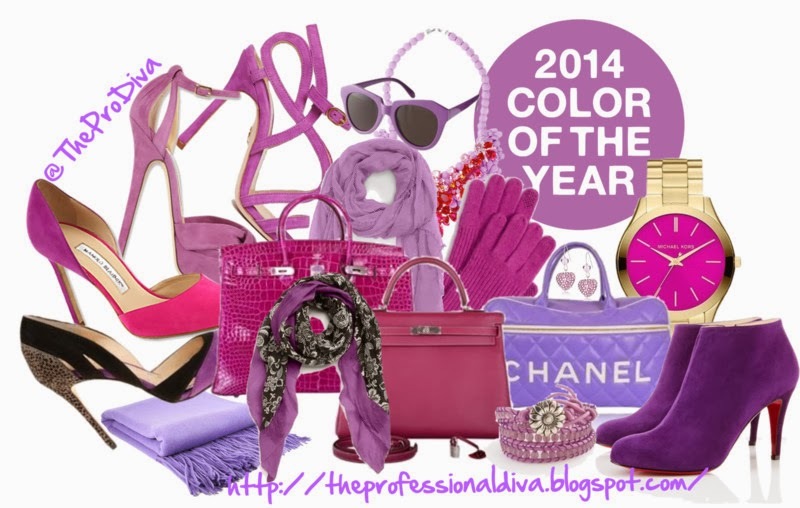 As many of you fashion-forward Divas know, Radiant Orchid is the Pantone Color of the Year for 2014. Whenever the new color is announced, I am always excited to find new pieces in the selected color to add to my professional wardrobe. Since I am all about sharing and suggesting, I have gathered a bunch of ideas that I have found around the Internet that I believe are excellent additions to the basic professional wardrobe. Take a quick look and let me know what you think! How cool would it be to add a gorgeous pop of color to your basic professional wardrobe? Radiant Orchid gives you that chance! You can try a vibrant blouse to wear under a black or gray suit. If you really want to go for it, try it with a navy blue suit. Instead of a little black dress, why not try a little Radiant Orchard dress. Try one that you can wear in the office with a blazer, and then ditch the blazer for an after-work happy hour. Maybe you can try a cardigan in this beautiful color. Pair it with a black, gray, or navy cami and matching pants or a skirt. These are just a few suggestions. If you're feeling bold, go for the big pieces (dresses, jackets, pants, skirts or overcoats). If you're not too sure about Radiant Orchid but you still want to work the color of the year, try to add some small accessories to your wardrobe. Shoes, purses, scarfs, bracelets, belts, watches, and broaches...all look great in Radiant Orchid, and can add just the right amount of flavor to your outfit. A little bit goes a long way when it comes to this vibrant hue. Once you've added a few items to your wardrobe, go one step forward and add some beauty products to your makeup case in honor of the color of the year. 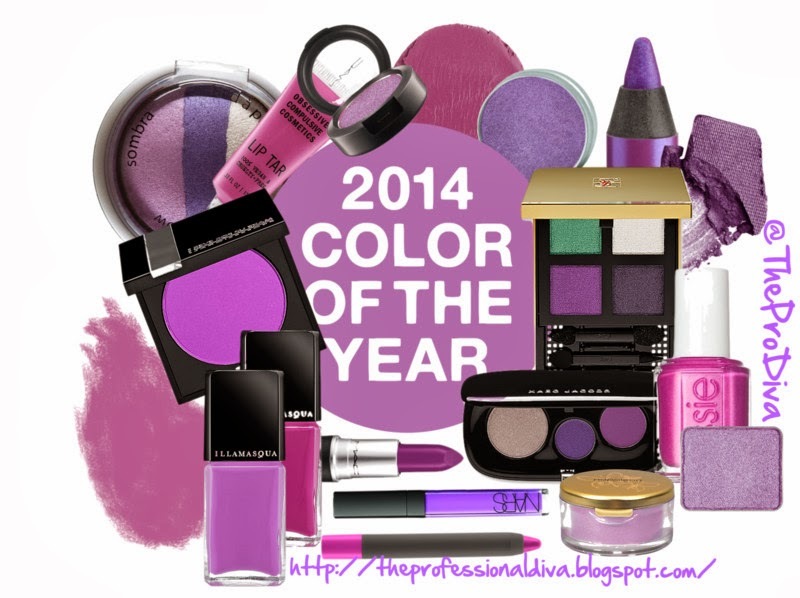 If you head to any department store, you will find dozens of lipsticks, eye shadows, nail polishes, and lip glosses that have embraced the Radiant Orchid color palette. Any of these items, when used properly, can add just the right amount of sophistication and sass to your office apparel. Have any of you purchased any new item for your wardrobe in Radiant Orchid? How did you rock it?